Interested to find out how TCM treatment modalities can benefit you in your health conditions or aid in your overall wellness? 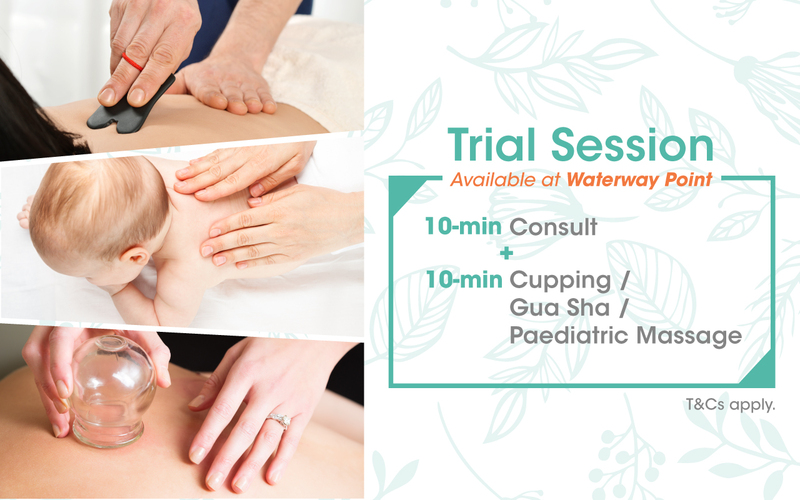 Trial session is now available for Cupping / Gua Sha for adults or Xiao Er Tui Na (Paediatric Massage) for babies & toddlers (inclusive of a short consultation with our TCM Physician)*. Please call 6386 5575 to book your appointment or use the appointment request form on the right and indicate “Waterway Point” as your preferred clinic. Thomson Chinese Medicine reserves the right to modify these terms and conditions without prior notice.